Want to come hunting with us? We are always pleased to see people new to hunting in the hope that they will enjoy it every bit as much as our members. A popular misconception is that hunting is exclusive and elitist but we are nothing of the kind. 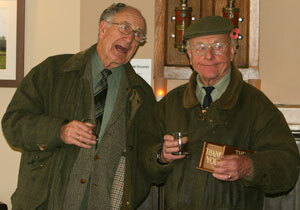 Indeed people tell us we are a friendly hunt and we very much hope that’s true. There is no need to regard hunting as old fashioned because in fact most of the traditions and behaviour associated with hunting are practical and exist for very good reasons, such as to showing a mark of respect to the landowners who’s land the hunt crosses and to show appreciation for the work that hunt officials have put into the planning of a day’s hunting. 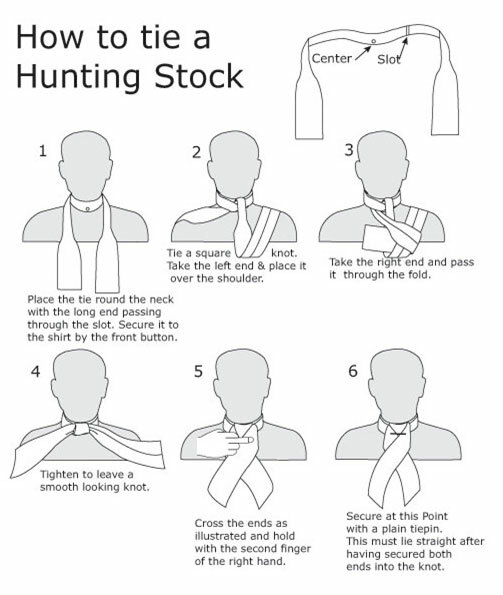 When planning your first day, please get in touch with the Hunt Secretary. Officially the hunting year begins on May 1st which is the date upon which new staff or Masters begin their duties. We begin when the harvest allows (normally towards the beginning of September). In this the first part of the season with meets being held early in the morning before the temperature rises and evaporates the scent. 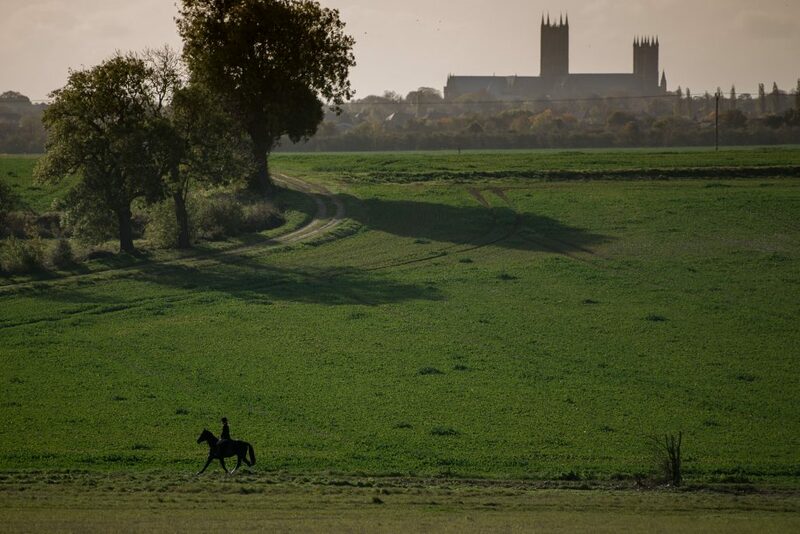 Meets are usually held twice each week, shortly after sun-rise and are part of the process of preparing horses, hounds and the country for the coming season. The Dress code for Autumn Hunting is called ‘Ratcatcher’. The ‘formal season’ starts towards the end of October with “The Opening Meet”. During the main hunting season, which typically runs from late October or the beginning of November to the end of February, the hunt will meet around 10.40am. 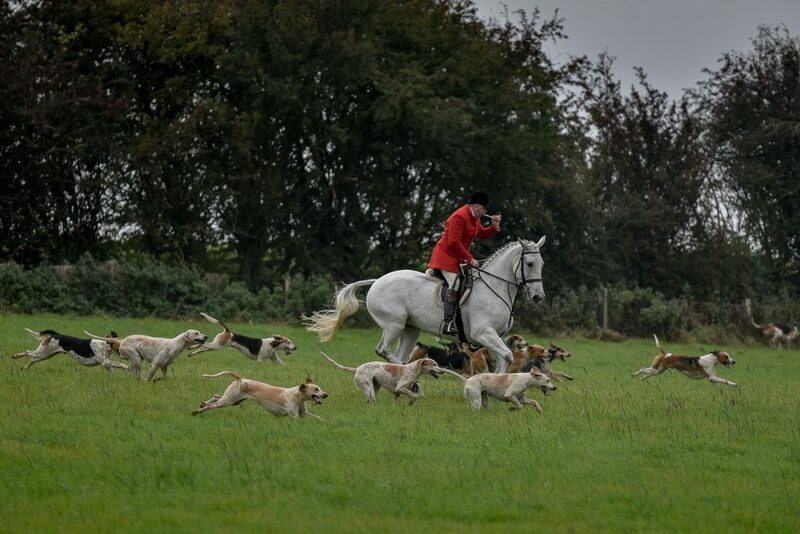 Once the meet is over, usually after 20-30mins, the huntsman will sound his horn and move off with hounds to the first covert where he will cast his hounds and encourage them to search for their quarry (a trail). Sometimes the trail may be found immediately and the chase begins in earnest, or the huntsman may have to move on from covert to covert, recasting his hounds several times before a trail is found. The unpredictability of hunting is one of the elements that adds to its appeal. Once the hounds are on a scent, they “give tongue” or “make music”, and once the hounds have left the covert, the field master will lead the mounted field in hot pursuit. Once on a run the control which the huntsman has over his hounds, and the respect and trust the hounds have in the huntsman, is a pleasure to behold. A run may be brief and fast if scent is good, or it may be long and slow with hounds having to work hard to keep on the line. In any event the huntsman will re-cast and the day will go on until 3 or 4pm. depending on how strenuous the day has been – though of course anyone can pull out at any time and head for home. Masters are in overall command of the hunting activities. They decide when and where hounds will meet, what coverts are to be drawn, and when hounds will go home. They are responsible for hounds showing the best possible sport under existing conditions; and are responsible for the hounds and the hunt staff. The Field Master may be the Master or a Joint Master, or a person appointed by the Master. His duties are broadly, as his name implies, to direct the Field. His first duty is to prevent the Field from upsetting other members of the public whom they may come into contact. These will be mainly farmers or landowners over whose property they may ride and about whose special wishes he will have been advised. 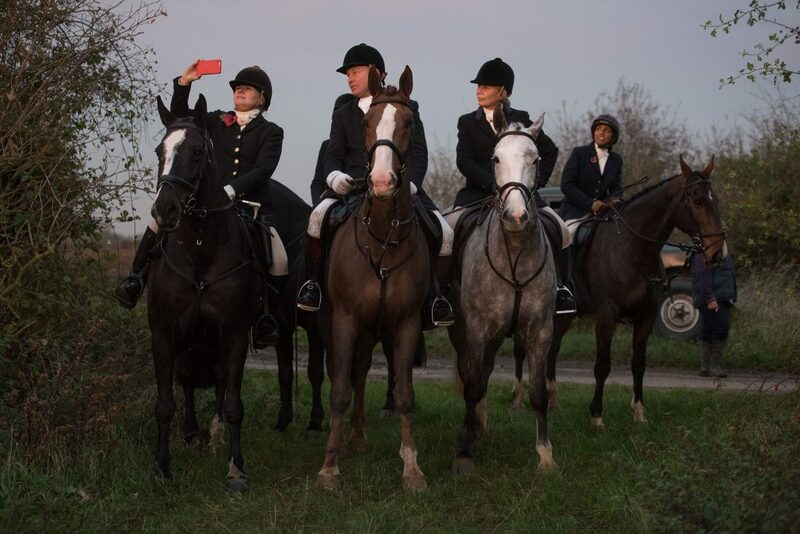 The Field Master will make sure the riders only go where they are permitted neither causing damage nor annoying the landowners who make the sport possible. Secondly, he is there to prevent the Field from upsetting the Huntsman or his hounds so that they may pursue their job unimpeded. This entails keeping the field at a reasonable distance so that hounds are neither over-ridden, kicked or have their sense of smell impaired. Thirdly he tries to keep the field in contact with what is going on, and see that they are in the right place at the right time. In the Burton Hunt, there are currently three joint masters. Controls the hounds, indicating to them by his horn or voice what he wishes them to do. He attempts to be sure that hounds work together as a pack by encouraging the tail hounds and steadying the lead hounds. In the case of a check he must be prepared to assist hounds to recover the line by use of a cast if necessary. His technical decisions must be quickly made, staff and Field must abide by them. Deals with the hunt’s administration, collects the cap (the payment for the day) at the meet and is happy to help you in any way. Consists of the mounted followers and is controlled by the Field Master who rides at the head of it. The Field should follow the Field Master and follow his instructions. 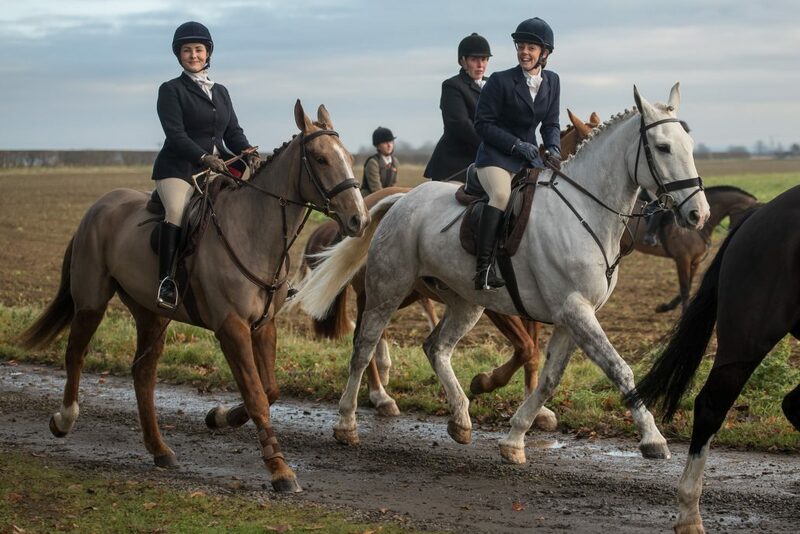 The Field are, as paid up members of the Hunt, there to enjoy a days sport but it is incumbent on them as members to promote or cement good relations with the non-hunting public. DO arrive at the Meet in good time having parked your transport where it does not obstruct or cause damage. At the Meet DO keep your horses away from the hounds. Say Good-morning to the Masters. 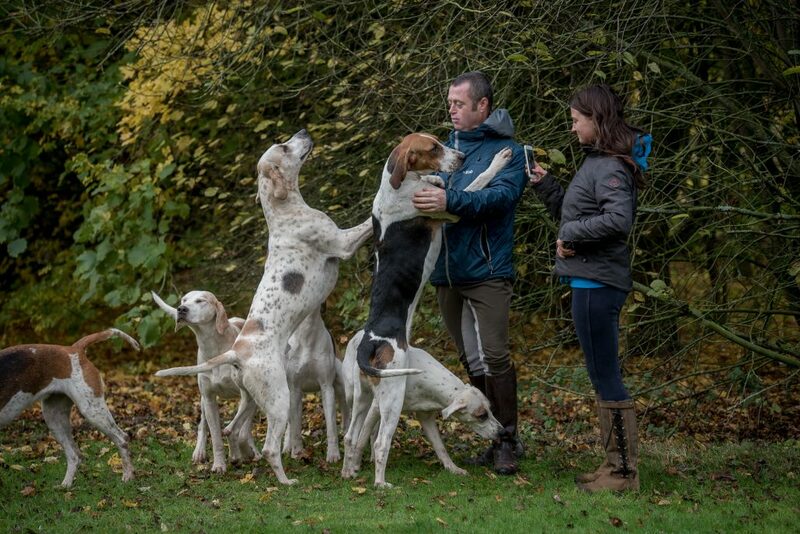 When hounds move off wait for the Field Master. Have your cap money ready. When hounds are running DO follow the Field Master. If you have to take your own line keep 100 yards between you and the hounds. If you ride over crops and damage them, remember where it happened and DO report it as soon as possible. DO stay in single file alongside growing crops. 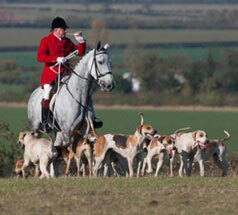 When hacking from a covert, DO stay behind the Field Master so that hounds are not over-ridden and can be counted. DO acknowledge and thank members of the public who give way to you or are in any way helpful. Occasionally, a hound slips behind the others or gets lost, then comes up behind the hunt. If you see a hound coming up behind you, DO turn your horse’s head towards it so it does not kick out. Warn others in front by shouting ‘ hound on the left, (or right – depending where it is coming from) so they know what to do. DO NOT ride over growing crops. DO NOT crowd in gateways and jumping places. When riding single file alongside growing crops, DO NOT bunch or overtake. DO NOT ride up alongside the Masters or the Hunt Staff unless invited to do so. DO NOT ride over mown verges. 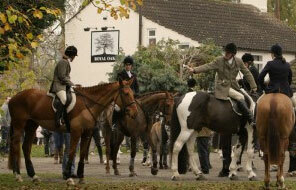 DO NOT react to abuse from members of the public who are opposed to hunting. Both you and your horse should be turned out as well as possible. 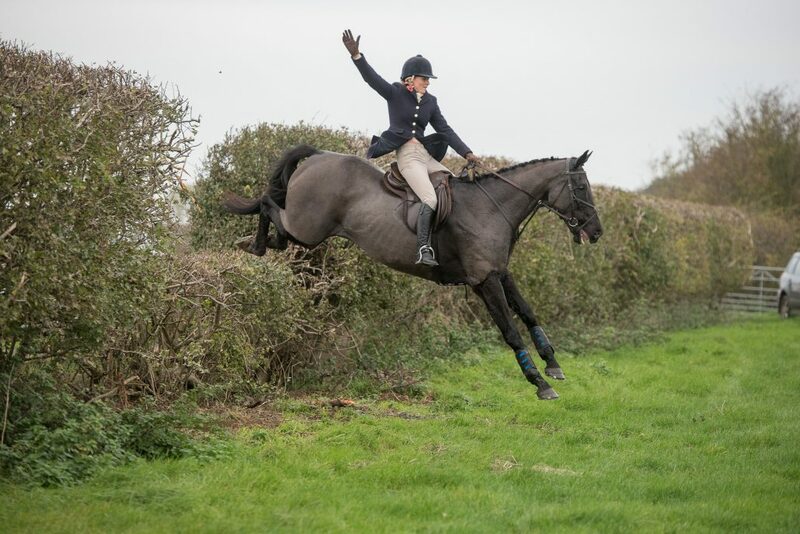 Meets are usually held on someone’s property (called a Lawn Meet when hospitality by way of food and drink is offered) and, out of politeness, from opening meet your horse should be plaited (unless, of course, it is hogged!) as a courtesy to your host. A red ribbon around a horse’s tail indicates that the horse kicks. 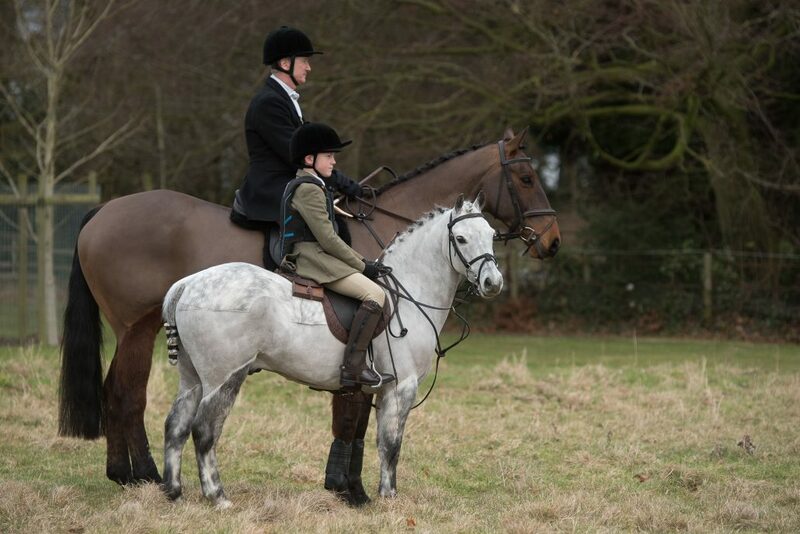 A green ribbon means a young horse and/or inexperience to hunting – please make sure if there is any chance your horse might kick, it wears the appropriate ribbon. Even a horse that does not normally kick may feel threatened if barged from behind. Please take care to avoid getting too close to a horse with a ribbon – if it kicks you, the rider will not be at fault. Car following has evolved as a sport in itself in recent years. Most car followers belong to the Hunt Supporters Club but the Hunt does attract members of the public, notably at Boxing Day Meets. 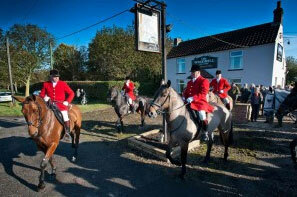 Cars are capped on hunting days by voluntary members of the Supporters Club. The rules for car followers are similar to those of the mounted followers and bearing in mind to observe the rules of the highway, have evolved for the same reason.